Population (January 2008 est. ): 15.6 million — down from 16.2 million in 1989; second most-populated country in Central Asia. Large-scale emigration of ethnic Russians, Germans, and Ukrainians accounts for most of the population decrease since 1989. Health (2007 est. ): Infant mortality rate — 27.4/1,000. Life expectancy — 67.22 years (male 61.9 yrs. ; female 72.84 yrs.). Health care (2005 est.) — 30.3 doctors and 68.2 hospital beds per 10,000 persons. Education: Mandatory universal secondary education. School system consists of kindergarten, primary school (grades 1-4), secondary school (grades 5-9), and high school (grades 10-11). Literacy rate — 98.4%. Work force (2007 est., 8.16 million): Industry and construction — 18.1%; agriculture and fishing — 32.9%; services — 49%. Branches: Executive: president, prime minister, Council of Ministers. Legislative — Senate and Mazhilis. Judicial — Supreme Court. Administrative subdivisions: 14 oblasts plus 2 cities — Almaty, the former capital, and Astana, the current capital; and the territory of Baykonur, which contains the space launch center that the Russians built and now lease. Trade: Exports (2007 est. ): $44.88 billion. Imports (2007 est.) — $29.91 billion. Traditional nomadic life on the vast steppe and semi-desert lands was characterized by a constant search for new pasture to support the livestock-based economy. The Kazakhs emerged from a mixture of tribes living in the region in about the 15th century and by the middle of the 16th century had developed a common language, culture, and economy. In the early 1600s, the Kazakh Khanate separated into the Great, Middle and Little (or Small) Hordes — confederations based on extended family networks. Political disunion, competition among the hordes, and a lack of an internal market weakened the Kazakh Khanate. The beginning of the 18th century marked the zenith of the Kazakh Khanate. The following 150 years saw the gradual colonization of the Kazakh-controlled territories by tsarist Russia. The president is the head of state. The president also is the commander in chief of the armed forces and may veto legislation that has been passed by the Parliament. President Nursultan Nazarbayev has been in office since Kazakhstan became independent. In 1995, President Nazarbayev called for a referendum that expanded his presidential powers: only he can initiate constitutional amendments, appoint and dismiss the government, dissolve Parliament, call referenda, and appoint administrative heads of regions and Astana and Almaty. The prime minister, who serves at the pleasure of the president, chairs the Cabinet of Ministers and serves as Kazakhstan's head of government. There are three deputy prime ministers and 17 ministers in the Cabinet. 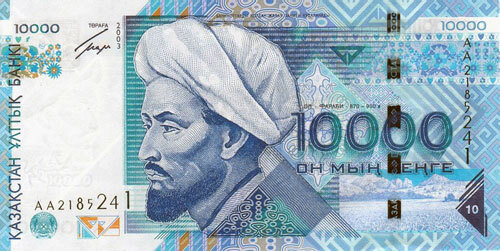 In September 2002, Kazakhstan became the first country in the former Soviet Union to receive an investment-grade credit rating from a major international credit rating agency. Estimated level of external debt in 2006 was $73.46 billion. In 2005, Kazakhstan's gross foreign debt was about $43.40 billion. Kazakhstan has been successful in reducing the ratio of government debt to GDP in recent years. In 2007, total governmental debt was $5.7 billion, which amounts to 5.5% of GDP. In 2000, total government debt equaled 21.7% of GDP. While government debt has continued to decrease, several years of aggressive private-sector borrowing and lending practices contributed to a liquidity and credit crunch in 2007. Total external debt (public and private) increased dramatically from $73.46 billion (2006) to $96.37 billion (2007), now equivalent to 94.4% of GDP. An upturn in economic growth, combined with the results of earlier tax and financial sector reforms, dramatically improved government finances from the 1999 budget deficit level of 3.5% of GDP to a deficit of 0.5% of GDP in 2005. However, the budget deficit level in 2007 was $1.8 billion, or approximately 1.7% of GDP. Government revenues grew from 19.8% of GDP in 1999 to 22.6% of GDP in 2001 to 25.7% of GDP in 2005. Government revenues in 2007, like other sectors of the economy, declined slightly to 22.7% of GDP. In 2000, Kazakhstan adopted a new tax code in an effort to consolidate these gains. On November 29, 2003 the Law on Changes to Tax Code was adopted, which reduced the value added tax (from 16% to 13%), the social tax (from 21% to 13%), and the personal income tax (from 20% to 10%). Kazakhstan furthered its reforms by adopting a new land code on June 20, 2003 and a customs code on April 5, 2003. 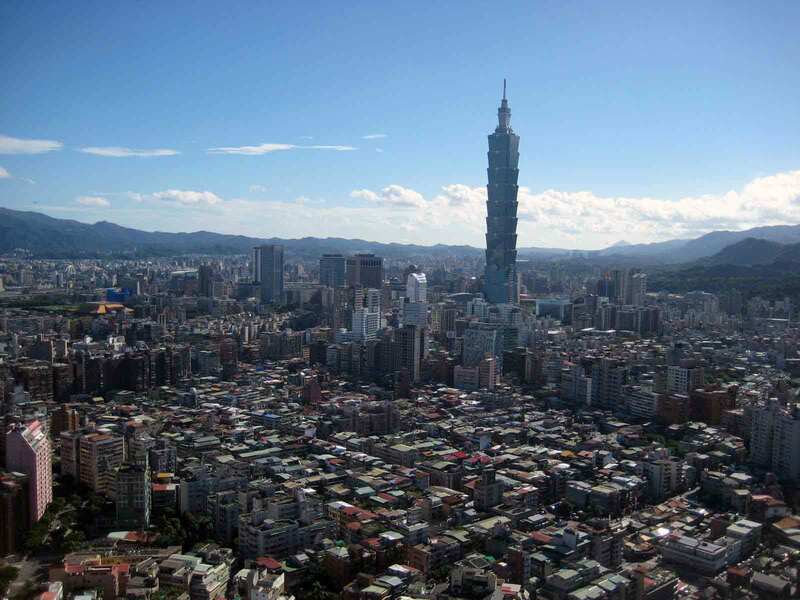 Further revisions to the customs code were expected to be adopted in 2008. 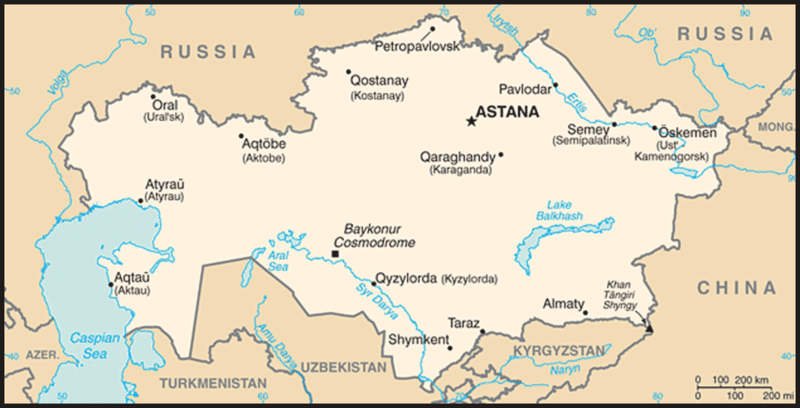 The United States was the first country to recognize Kazakhstan, on December 25, 1991, and opened its Embassy in Almaty in January 1992; the Embassy moved to Astana in 2006. In the years since Kazakhstan's independence, the two countries have developed a wide-ranging bilateral relationship. Kazakhstan has identified a number of major ecological problems within its borders — desiccation of the Aral Sea, protection of the fragile Caspian ecosystem, remediation of the Semipalatinsk nuclear testing range, cleanup of the Baykonur launching facility, extremely polluted cities, desertification, and development of mechanisms for regional transboundary water management. 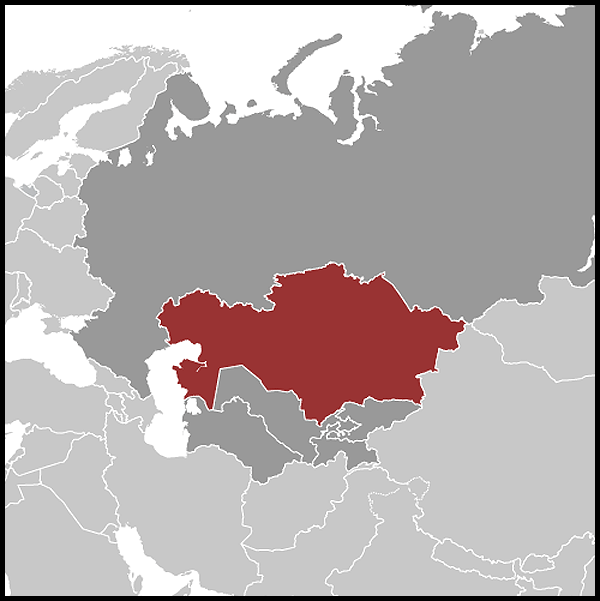 In terms of business customs, Kazakhstan is more European than Asian. It is customary to shake hands and call people by their first names at business meetings, as well as at informal get-togethers. However, men generally do not shake women's hands in company. Business attire is generally a suit and tie for men and a suit or business dress for women. Small gifts — pens, company logo pins, memo, and books — are frequently given at the end of an initial meeting as a token of appreciation. Business cards are the norm, often in both Russian and English. Entry requirements. A valid passport and visa are required. The Kazakhstani Embassy in Washington, DC and the Kazakhstani Consulate in New York issue visas. As of February 2004, an invitation is no longer required for single-entry business and tourist visas, but multiple-entry visas require an invitation from an individual or organizational sponsor in Kazakhstan. The U.S. Embassy does not issue letters of invitation to citizens interested in private travel to Kazakhstan. All travelers must obtain a Kazakhstani visa before entering the country. Travelers should be aware that overstaying the validity period of a visa will result in fines and delays upon exit. Travelers may be asked to provide proof at the border of their onward travel arrangements. Travelers transiting through Kazakhstan are reminded to check that their visas allow for sufficient number of entries to cover each transit trip and to check the length of validity of the visa. Crossing the land border to and from the neighboring Kyrgyz Republic can result in delays or demands from border officials to pay fines. For complete information concerning entry requirements, U.S. citizens should contact the Kazakhstani Embassy at 1401 16th Street NW, Washington, DC, 20036, tel. kazakh.consul@verizon.net (202) 232-5488, fax (202) 232-5845, e-mail (kazakh.consul@verizon.net), or homepage (http://www.kazakhembus.com/), or see the homepage (http://www.kazconsulny.org/) and obtain updated information on travel and security within Kazakhstan. Registration with the Embassy is different from Kazakhstani OVIR registration. It can help the U.S. Embassy contact you in case of an emergency, and it can streamline replacement of a lost or stolen passport.